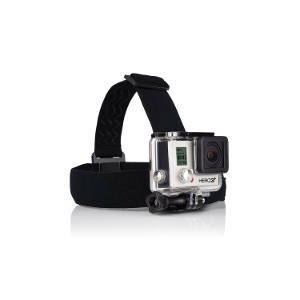 What's the best GoPro mount for Tough Mudder? Do I need a special memory card for my GoPro? 1. What's the best GoPro mount for Tough Mudder? Maybe you’ve seen a few Tough Mudder Videos on YouTube and asked yourself how these videos have been recorded or where the camera was mounted. There are many mounts, for example for your car, but only 3 you can use during a Tough Mudder: The chest strap, the head strap, and the pole. If you choose the chest mount*, you'll have to make many compromises. While running, your body will twist and move up and down. A video shot under these conditions will make you sea sick. Your arms will permanently wave in the picture, which will cause naughty thoughts and drive the viewer crazy. 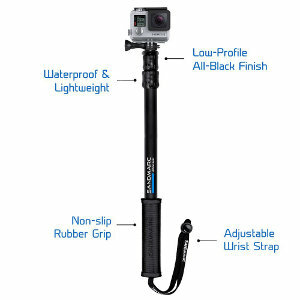 Additionally, your GoPro would get in the way when you crawl through an obstacle and also face the ground. Despite of all these disadvantages, Andi for example is a big fan of the chest mount! 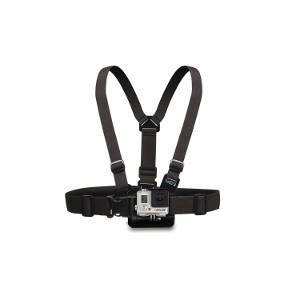 The chest mount disturbs you least of all mounts while running, and the risk to lose the GoPro is definitely lower, too. Most of the time he only records at the obstacles, and therefor he takes the camera out of the holder. That works very well. If you don't worry about the aforementioned restrictions, the chest mount could be an option. But in general it isn't the best solution for Tough Mudder! To cover all facets from Tough Mudder in a good way, we recommend wearing the head strap*. While running, the head strap records the up and down movement, but the rotating movement will affect the camera much less. Therefore, the video seems dynamic, but not completely drunk. You can easily take the head strap off for when you run or pass the camera to team member. This will make sure that all your buddies are in your movie. The GoPro will sound a signal when it’s switched on and off. Nonetheless, you should always let a member of your team check if the camera is currently recording. Otherwise, just one wrong push of a button could have fatal consequences. Also, let them check whether the camera is set in a good angle and the casing is clean in the lens area. You should take your head strap off at water obstacles! Instead of wearing it on the head, you should hold the camera firmly in your hands, or ask another Mudder to take care of it for a few seconds. Even if the head mount is firmly seated, every dive is definitely a risk! 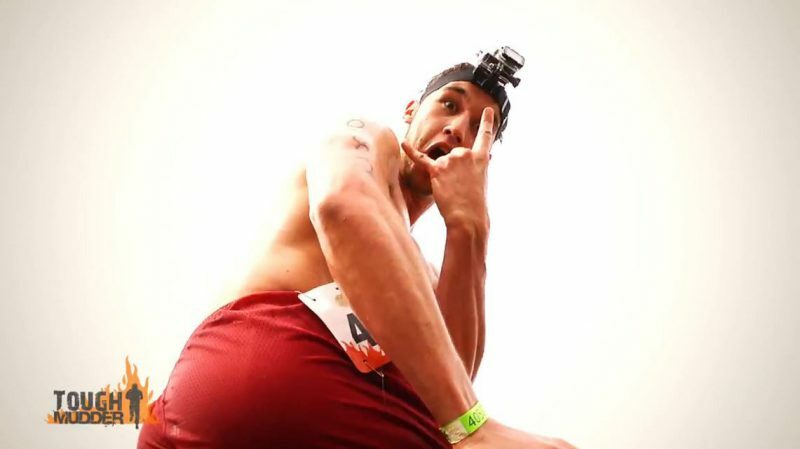 We know what we're talking about – we lost our GoPro at the Arctic Enema 2.0 at our second Tough Mudder! Fortunately, we had a note with our name and contact data inside the casing – you should do the same, just in case of a mishap like that! The pole mount* looks a bit like a baton you can extract to about a yard. That enormous range will enable you to use perspective playfully. Especially shots from up high look pretty cool. In your team, the pole is perfect to pass the camera along. Thanks to the hand strap, you can easily attach the GoPro to your clothes with a snap hook on climbing obstacles or let it dangle from your wrist. It won’t bother you at all. If you plan on taking only one mount with you, the pole isn’t the best solution, though. During running, the pole is ill-suited for recording. Even at most obstacles both of your hands are busy, and you need another team member to handle the pole for you. In our opinion, the pole is a useful addition that can help you get good shots. You shouldn’t use it as your only mount, though. For that job, the head strap is the best solution. No matter which mount you choose – you should test it intensively before Tough Mudder. Details can make the difference! You’ll quickly get a feeling for how to get good results and how to adapt to different situations. Tough Mudder isn’t the place to try new equipment. You should be experienced with your GoPro. As great as the GoPro might be, the battery can easily drive you insane! Many Mudders had to make the devastating experience that the battery will only lasted for about half the run. To avoid a similar disaster, there are a couple things to watch for. The video resolution you use directly impacts your battery life. Nonetheless, even with perfect settings and if you use the camera only for a few obstacles, you’ll run into problems. GoPro’s information on battery life aren’t worth the paper they’re printed on, and switching the camera on and off often drains the battery even more. As many Mudders can tell you, without a second battery*, you’re screwed. 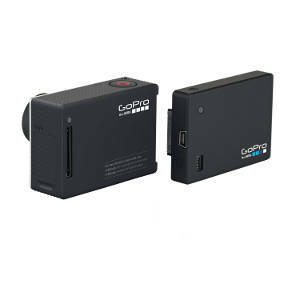 While BacPacs are compatible with all GoPro models, you can only use the case with the GoPro Hero 3+ and higher. If you have an older edition, you need to get an extra case. It is not advisable to buy the predecessor BacPacs because the new ones got up to 15% more power. So the better option is to buy a new case in addition to your extra battery. Even with a second battery, you’re not completely on the safe side. Make sure to completely charge the main battery and the second battery. Also, understand that nobody wants to watch you running through the middle of nowhere for 1.5 hours! Therefore, only record your runs sporadically. Focus on the obstacles, which will be the highlights you can use when editing your material. During the race, make sure to switch off the GoPro’s Wi-Fi. This will save a lot of battery. Ideally, multiple members of your team will use a GoPro. Don’t waste battery recording the same thing, though. Alternate intelligently. That will give you the best results and keep you on the safe side with your battery. 3. 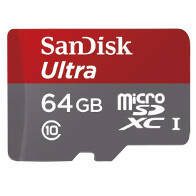 Do I need a special memory card for my GoPro? 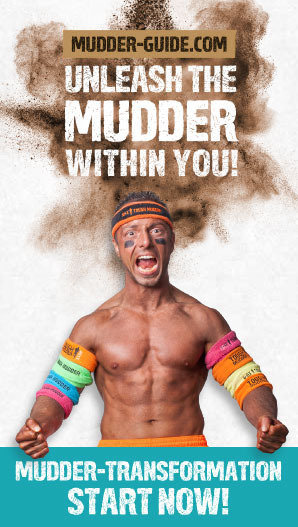 First of all, you need enough space to record the entire Tough Mudder madness. 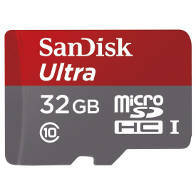 With our recommended all-round setting of 1080p and 30fps, you can record almost four hours of film on a 32 GB SD-card. That’s easily enough for one race. Before you could fill that memory card, you’d have drowned your battery. If you don't want to cut and paste your files to your notebook immediately, you could also opt for 64 GB, the safe alternative. When choosing the right memory card, size isn’t everything. Flash cards have speed-classes that indicate how fast they can read and write data. Make sure to choose a card with at least class 10. If your card is too slow, your camera might crash and your video material might get damaged. Stay away from cheap Chines models. When choosing a memory card, quality matters. It’ll make sure that the read and write speeds that are printed on the box match the real speeds. 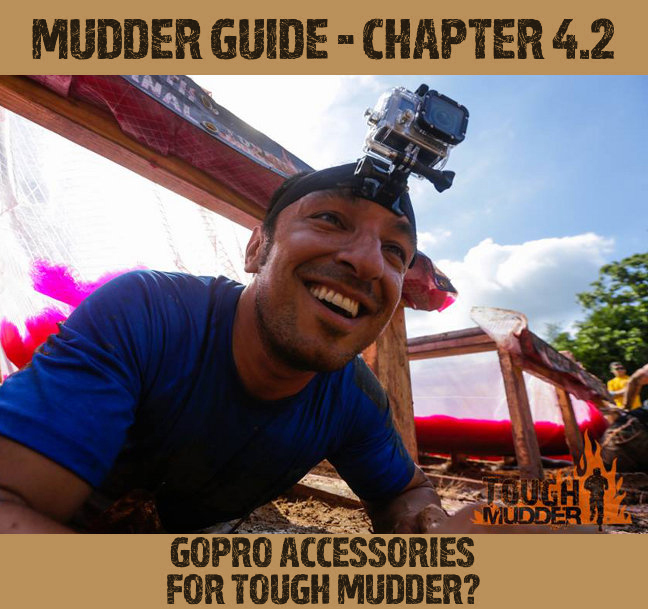 We from Mudder Guide and the guys from GoPro both recommend models from SanDisk and Lexar.